I will be on NPR’s Science Friday this afternoon (6 January, 2 PM EST) to discuss the H5N1-NSABB story. You can listen live, or download the recording which will be available later. I written three posts (one, two, three) about the ferret H5N1 experiments and why the NSABB should not prevent the publication of these data. I’m a bit dismayed that Science Friday tweeted about this event earlier today saying “Today, 2-3p ET we’ll talk about the placebo effect. Then, we’ll tackle the debate over research into making influenza more deadly.” I had hoped for a less sensational, and scientifically accurate description from a well-respected science program. Making influenza virus more deadly is not what this research was about. The over-hyping of the entire H5N1 story (both by scientists and the press) is what has got us into this situation in the first place. On Science Friday I hope to focus on the science which does not support restricting publication of the H5N1 ferret results. 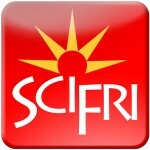 Update: Here is a recording of this SciFri episode (27 MB mp3). I thought it was interesting that Dr. Henderson discounted the possibility that there is widespread H5N1 seropositivity in rural Asian populations. His reason was that, among all the H5N1 infections, no seropositivity has been observed in their contacts. This would be expected as the H5N1 viruses are known not to be transmitted among humans! Where we would expect to see wide seropositivity is among workers who have frequent contact with poultry, not in the contacts of those who have been infected with the virus. Dr. Henderson also stated that the experiment done in the Fouchier lab was ‘a little more than passage from ferrets to ferrets’. What he alluded to are the mutations introduced into the starting H5N1 virus to allow it to bind sialic acid receptors found in the mammalian respiratory tract. These types of modifications are widely known in the virology community and could easily be done before passaging the virus in ferrets. You sounded great on the show. I was annoyed at Henderson’s reply to the seroprevalence data you cited. He argued that serology on H5N1 patients’ close contacts has come up negative, then used that to say that the 600 folks who’ve shown up in the hospital must represent the real prevalence. Of course their contacts came up negative – the virus doesn’t transmit from person to person. That’s why we need to look to seroprevalence studies in rural populations, like the one you brought up. I agree, his argument was faulty. Of course there is no seroprevalence in contacts – but I didn’t have a chance to respond about that but I think I made my point. I am glad he was not arguing on the basis of a terrorist threat. I share his concerns regarding unintentional lab escapes. There are so many labs now and there have been too many accidents. I fail to see the Smallpox parallel as this is not a disease in the wild which is a pandemic threat so the risk reward calculation is totally different. The only real risk is from a lab escape where with H5N1 natures lab is experimenting all the time. I fully agree we need a series of coordinated seroprevalence studies and am confused why these have not taken place in various population with different levels of risk. This has been repeatedly identified as a gapping whole in our knowledge, is it a funding problem?. Prof. Henderson bought up the money pumped in to seed change from egg based vaccine production. Has the industry just used it for research I have not seen much non egg production capacity (I know Baxter’s have a Verocell plant in Europe), was any non-egg vaccine employed for the H1N1(2009) pandemic? How do we incentivise the vaccine industry to shift away from egg based to something faster to first dose and scalable? Sorry about all the questions and no answers. The US has invested in cell based flu vax production (A $707 million investment in cell-based influenza vaccine) but that is not going to supply the major part of US vaccine for some time. Cell grown flu vax isn’t even approved in this country. I’m much more enthusiastic about virus-like particle vaccines made by expressing HA in plants. Note in the beginning of the show DA talked about bioterrorism, then he changed his tune. I’m not worried about either in this case. I am more concerned about the Bio warfare intentions of China unleashing a weaponized H5N1 on the World to help usher in the “Chines Century”. It is the main reason they lobbied so hard in 2006, after Lee Jong-Wook died suddenly, to install Margret Chan as Director of WHO. I believe all this hoopla is smoke designed to shape the discussion “away” from state sponsored bio warfare. As the US cuts it’s military budget, we ought to ask ourselves are we defending against this possibility? Seems no one is talking about it. Why is that? One more thing – It seems to me that WHO is directing the conversation toward the threat of terrorists gaining access to this info and is preparing to call for a “One World, One Health” approach to Pandemic Response. If we allow WHO to take over the World’s pandemic response and vaccine manufacturing/distribution based on this so called “bio terror threat” should this study be published in full, we are in very big trouble as long as Margret Chan is at WHO’s head… IMHO. Dr. Chan said, after her visit to North Korea, that they have a healthcare system that the world should envy and that the reason there is no obesity there is that people walk a lot. Sure sounds like a PRC mouthpiece to me. As always thanks for the quick reply. One thing that did not come up was WHO’s concerns regarding the PIP Framework. This has been tortuous to negotiate and if Indonesia or any other H5N1 endemic state thinks they are being left out of the loop re results from H5N1 they may not cooperate with samples via GISRS. Having a roll back on full disclosure would be much more of a problem than any hypothetical danger from full publication. the question is, what would be the CFR in a pandemic ? And what about all those chickens,turkeys ? 100% dead chickens after some days. but the egg-based vaccine was cheaper and demand decreased later. approved in Europe. Baxter has some cell-based capacity in Czech. can’t drive up the egg-based production quickly. the virus (some variants at least) does transmit from person to person. Poultry workers are not the critical people in a possible pandemic. contacts are the critical folks, not poultry workers. And in the contacts it was deadly. How does it infect poultry workers ? Skin ? Mouth ? So am I…!! Seriously, given the speed and ease of making flu virus-like particles in plants for H5 and H1 and H3 HAs, I am amazed that three recent reviews on new flu vaccines don’t even mention plants as a manufacturing prospect. Incidentally, we got really good Ab in mice with a H5 HA gene DNA vaccine – so there is more than one way to kill this cat. Or chicken. Or duck. Previous post: Should we fear avian H5N1 influenza?